Nothing Like Everything All Tags Android Asus Oppo Review Technology Asus Zenfone 3 Max (ZC553KL) VS Oppo F1S : Which One To Select ? 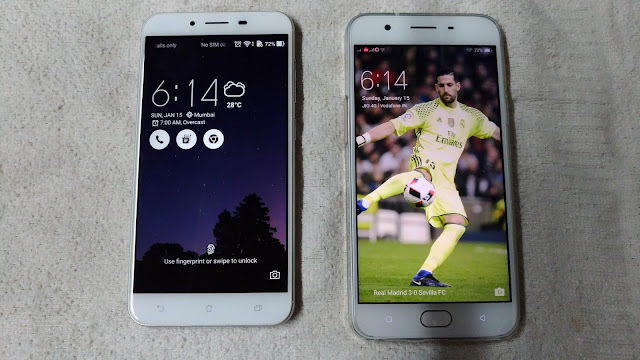 Asus Zenfone 3 Max (ZC553KL) VS Oppo F1S : Which One To Select ? Here we are going to compare two smartphone which share equal price and specs but are from different manufacturers. 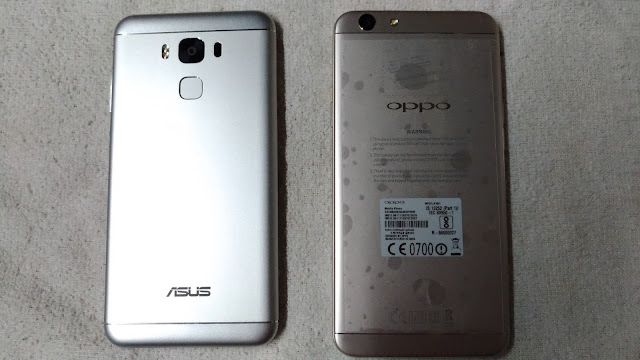 One is from Asus and another is form Oppo. We are here making comparison between Asus Zenfone 3 Max (ZC553KL) and Oppo F1S. At the end you will get clear idea which one is better. As per the build quality both devices are attractive and look is the first factor that can catch your attention. Oppo F1S more or less resemble to iPhone in look and feel. But on the other hand Zenfone 3 Max have its unique design pattern with metallic unibody. In my personal opinion Asus Zenfone 3 Max have better design then Oppo F1S. But OPPO F1s comes with corning gorilla glass 4 protection while Zenfone 3 Max only have an Oleophobic coating over the screen which prevent the screen from smudges. Well if we talk about display its clear Zenfone 3 Max wins. Both devices have 5.5 inches IPS LCD panel integrated but Oppo F1S have HD Display (720p) while Zenfone 3 Max have Full HD (1080p) display panel. Hence Zenfone 3 Max provide excellent vivid colourful and crisp display then Oppo F1S. In terms of performance Zenfone 3 Max and Oppo F1S are equipped with Octa-core processor where clocked at 1.4GHz and 1.5GHz. Zenfone 3 Max comes with Qualcomm MSM8937 Snapdragon 430 with Adreno 505 graphical unit. On the other hand Oppo F1S comes with Mediatek MT6755 or MTK7650 with Mali-T860MP2 GPU. 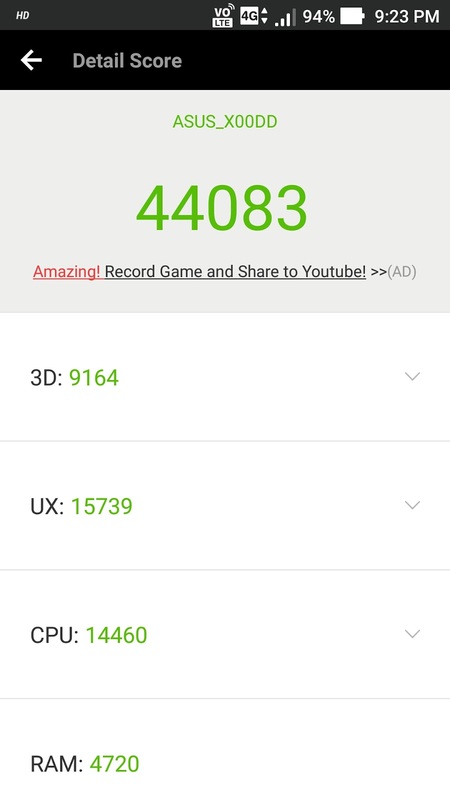 Both of this processors are equal in performance but Snapdragon have advantage over Mediatek processor. During our review we have observed that Oppo F1S drain battery faster than Zenfone 3 Max, since its hardware take up much of its battery juice. Both device have 3GB RAM memory and 32GB internal memory but when we compare them for multitasking both perform equally well. But while gaming part Zenfone 3 Max perform bit better than Oppo F1S. While we talking about memory management both device provide user with almost 1.5+ GB free RAM memory. But in case of Oppo F1S when you open apps like Whatsapp, Facebook, YouTube and so on, even optimization will not clear out much of a free space for you. You have to optimize it every now and then. 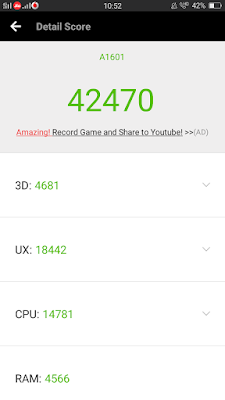 While memory management in Asus Zenfone Max is much better than Oppo F1s. When we talk about Operating system Oppo F1S has already lost here. Since Oppo F1S is still running on Android 5.1 which is Lollipop while Asus Zenfone 3 Max runs on Android 6.0.1 which is Marshmallow. In terms of connectivity both devices offer all connectivity option except that of NFC. While talking about 4G and VOLT both device support them well. There is only one major difference in this area where Zenfone 3 Max have Hybrid SIM mechanism (One SIM + Memory Card OR Dual SIM) while Oppo F1S have advantage here since Oppo offer 2 Nano SIM slots along with Memory card slot. In terms of camera Zenfone 3 Max and Oppo have 13 MP and 16MP rear camera whereas in section of front camera Oppo have 16MP and Asus provide 8MP wide angle camera. In terms of front camera Oppo have excellent camera performance but somewhere images get overexposed in artificial light. Even though it have 16MP camera but level of details that user must get are lacking. While Asus perform average in terms of front camera it also suffer in artificial and low light conditions. But level of detailing in 8 MP Asus does a great job. While we talk about back\rear camera Asus perform excellent. In terms of quality both perform excellent in outdoor conditions. But when we talk about indoor or low light condition Asus surpass the Oppo in every way. 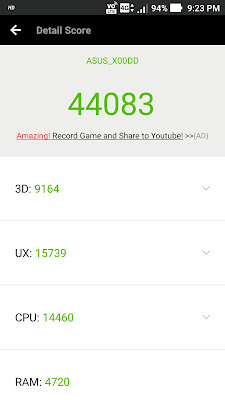 So here overall performance Asus is better. Oppo F1S comes with 3075mAh battery whereas Asus Zenfone 3 Max equipped with 4100mAh battery life. But as compared to Asus Oppo drains battery very fast. Even when device is ideal it consume lot of battery juice. Still Oppo last 20-22 hours. While Asus have huge battery life still it perform good even with heavy usage battery last longer than a day. 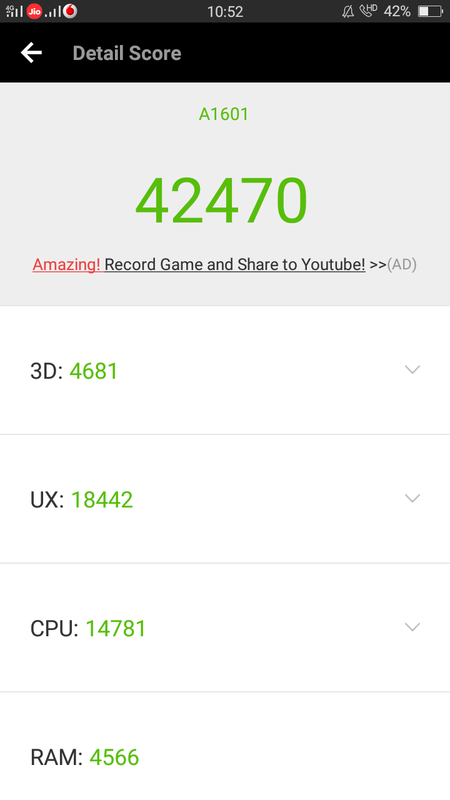 So here Asus Zenfone 3 Max wins directly. Oppo F1S (32GB +3GB RAM) priced at 16990 INR whereas Asus Zenfone 3 Max (32GB +3GB RAM) is also priced at 16999 INR. So they are pertaining to almost same price tag. Well based on our reviews if you want good phone with long battery life Asus Zenfone 3 Max must be your choice. While if you are obsessed with Selfies and not much concern with battery life then Oppo must be your choice. So basically your requirement decide the smartphone you buy. But in my personal opinion Zenfone 3 Max is best buy for money. If you have any other question or opinion than do let us know in comment below. Stay tuned for more. Thank you for reading.